Do you know how to make authentic Italian pasta recipes? 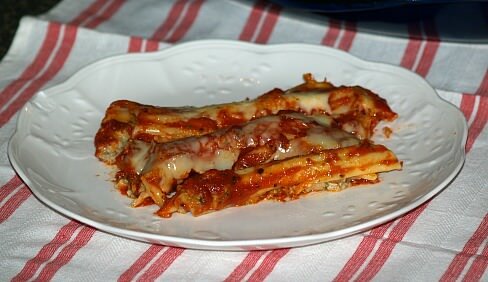 Are you hungry for stuffed manicotti recipe, fettuccini recipe, a good vegetable lasagna recipe or how about the best spaghetti sauce recipe with roast? When we think of pasta, naturally the first thing we want to learn how to make is a delicious authentic Italian pasta recipe. To most people around the world, in particular Americans, we think the heart of Italian cooking is pasta in all its size, shapes and forms. All pasta begins with dough or “paste” (in Italian pasta means paste); made by mixing flour and liquid. The dough might then be colored, flavored and then formed into these many different shapes like spaghetti, linguini, angel hair, manicotti, ziti and lasagna. The closest authentic Italian pasta recipe that I came to when growing up in my home was macaroni and cheese; we had more of the egg noodles and dumplings from the German cuisine. When I learned how to make an authentic Italian pasta recipe, I found it can be made with just flour and liquid, or it can be made with eggs added (like my noodles).The type of sauce which is used with the pasta is what makes the dishes truly Italian. Some regions of Italy are known for the creamy sauce and others for the robust tomato sauces. Added egg in the fresh homemade pasta dough makes the dough softer and easier to knead than flour and water dough. The dough can be varied with the addition of cooked spinach, fresh herbs, grated lemon rind or pureed sun dried tomatoes. This seasoned dough is delicious but must be served with complimentary sauces; for instance the lemon flavored is best served with seafood sauce. The tradition of making the authentic Italian pasta recipe in Italian food history was originally left to the females of the family. The skill was passed down from mother to daughter through the generations like the making of Italian dessert recipes such as panatone. The flour would be heaped on the table in the shape of a small mountain. Liquid would be worked in and the dough would be rolled out with a rolling pin. After resting the dough the thinly rolled sheets would be cut into strips or shapes. With the invention of modern pasta makers, today very few people know how to make by hand those very fine sheets of authentic Italian pasta recipe; soft and strong like silk. It is just too easy to purchase any type or shape of desired pasta. This ancient knowledge is almost a lost art. Pasta shapes for the authentic Italian pasta recipe have been commercially made in Italy since the 1400’s; here in the United States since the 1800’s. Various dies and molds were created to produce many different shapes. All the pasta shapes are made with a wheat and water paste; the cooking properties of the pasta depend on the type of wheat and how it was milled. The best commercial pasta is made with durum wheat which has been ground into fine granules called semolina or durum flour. Durum is high in gluten that makes the dough firm and elastic; easy to shape and holds up during cooking. Generally speaking the different shapes can be interchanged, but the Italian cook has preferences and is careful to match a right shape to a right sauce recipe. Most cooks prefer hearty meat sauces (stronger and thicker sauces) with sturdy dried pasta. Some shapes like the shell or ridged tubes will trap the bits of heavy sauce adding flavor. Soft fresh noodles are preferred for delicate cream, butter, vegetables, herbs and fish sauces and for floating in soups. Learning how to cook pasta correctly is essential for the perfect authentic Italian pasta recipe. Always cook in a large pot with an abundance of water; no crowding the pasta. When water begins to boil add salt. Drop in the pasta and stir immediately to prevent the pasta from sticking. If you are cooking fresh pasta, it is a good idea to add a little extra virgin olive oil to help prevent sticking. Cook over medium heat with the lid set half on to prevent the water from boiling over. When the pasta is cooked where it is a little firm to bite or “al dente” remove from water or drain; never leave pasta sitting in the warm water. 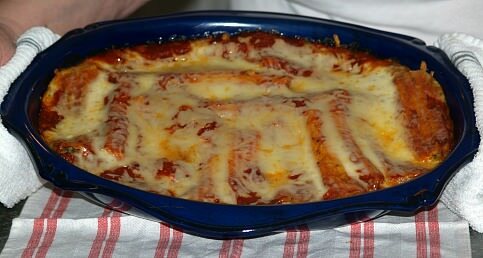 In salted boiling water, cook manicotti until limp but not cooked through; drain and rinse with cold water. Sauté garlic and mushrooms in butter until tender; remove from heat and stir in clams with liquid. Add 1 cup mozzarella cheese, ½ cup Parmesan, ricotta, parsley, basil, salt and pepper; blend. Stuff manicotti loosely with clam mixture (mixture will expand as it cooks). Spread 1 cup sauce in each of two 9 X 13 baking dishes. Arrange manicotti on top of sauce; spoon remaining sauce over top of manicotti. Mix remaining cheeses and sprinkle over top. Cover and bake for 20 minutes; uncover and bake 10 minutes longer. 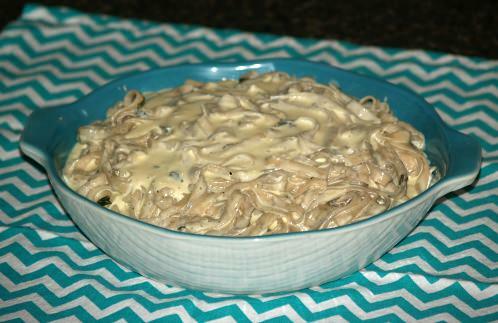 Cook fettuccine according to package directions; rinse with cold water, drain and let cool. Beat egg yolks with cream in a medium size heavy saucepan. Add Swiss cheese, Romano cheese, Goat cheese, basil and cracked pepper to the cream mixture. Cook mixture over low heat until cheeses are melted stirring constantly. Add fettuccini to cooked mixture; season with salt to taste and toss to coat pasta. Boil noodles until tender; remove from heat and hold. In Dutch oven sauté raw vegetables in oil until tender. Add tomatoes, sauce and spices and simmer 15 minutes; remove half of mixture to a bowl. Cover what is left in Dutch oven with 1/3 of noodles; spoon half of cottage cheese on top. Sprinkle mozzarella cheese over top; place remaining half of vegetables on top. Layer with another 1/3 of noodles; then layer remaining cottage cheese and mozzarella. Repeat noodles, cottage cheese and mozzarella until all gone. Top with Parmesan cheese and bake until hot and bubbly. About 20 to 30 minutes. Sauté onion, garlic, parsley and bay leaf in hot oil. Add tomatoes, peppercorns, cloves, oregano, nutmeg, red pepper, salt and pepper; blend well. Add roast and simmer for 2 to 3 hour. About 30 minutes before finish cooking add mushrooms, cooked ground beef and tomato paste. Remove roast and slice; serve sauce over cooked spaghetti.